Today (March 26) sees the release of the special edition Doctor Who stamps. 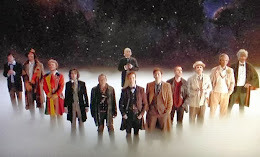 All eleven Doctors feature on their own first class stamp with their relevant logo and a title graphic in the background. 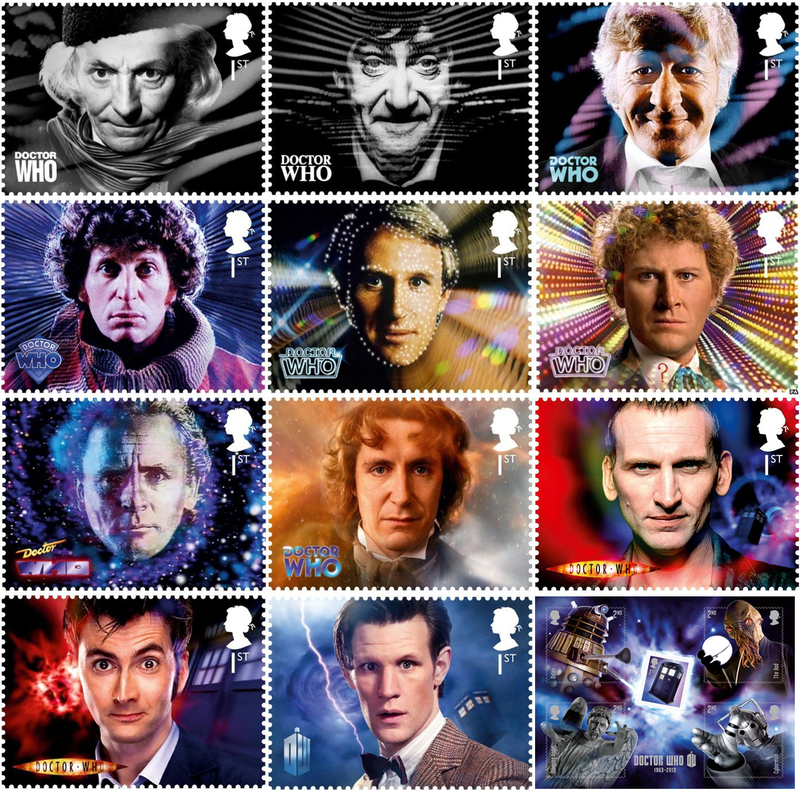 The TARDIS is also on its own first class stamp and comes as part of a mini-sheet with four second class stamps, each one with their own Doctor Who monster; Weeping Angel, Dalek, Cyberman and Ood. The stamps have been created to mark the 50th Anniversary of the show and, with pre-registration for the collection three times higher than any other commeroative set Royal Mail has released, they have already broken a record. Royal Mail's Andrew Hammond said: "These stamps pay tribute to the brilliant actors that have played the Doctor over the years as well as the adversaries that helped make the show so popular."